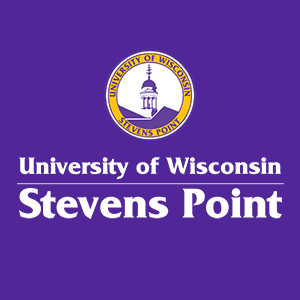 ​Applications for undergraduate admission to UWSP are considered on an individual basis only after all required materials have been received by the International Students & Scholars Office. 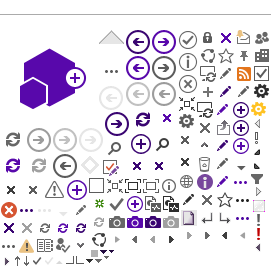 Click on each step for a more detailed explanation. Click on this link for a step by step guide through the admissions process. 1. A signed application for undergraduate admission and the non-refundable application fee. The application for admission must be an original document (not faxed or emailed), complete, and signed. Be sure to provide both a primary and a secondary email address on your application: we will communicate with you by email throughout the admissions process. The check or money order for your application fee should be drawn on U.S. Dollars (USD) and made payable to "UWSP". 2. Original copies of academic records from each high school, college, and/or university attended whether or not a degree, certificate or diploma was earned. Academic records include: (a) yearly secondary school records showing marks earned by subject and rank in class; (b) certified results from external examinations; and (c) year-by-year records from each college and/or university. Certification of official documents should be made by a school official. Any translated record should be an exact translation (not interpretive) and be accompanied by the official (original-language) document. Transcripts from U.S. high schools, colleges, or universities should be sent directly from that institution to the UWSP International Students & Scholars Office. Transfer credits will be evaluated to determine applicability after admission status is determined. Course syllabi or descriptions should be submitted in order to ensure an accurate evaluation of transfer credit. The minimum TOEFL score for undergraduate admission is 73 (iBT). Official score sheets (not photocopies) are required. If you will satisfy the English language proficiency requirement with your TOEFL results, please contact ETS and have them forward an official score report or enclose an original score sheet when you submit your application. UWSP's ETS/TOEFL Institution Code is 1919. The minimum IELTS score for undergraduate admission is 6.5. Official score sheets (not photocopies) are required. If you will satisfy the English language proficiency requirement with your IELTS results, please contact IELTS and have them forward an official score report or enclose an original score sheet when you submit your application. You may apply for Conditional Admission to undergraduate study without a TOEFL or IELTS score. In this case, you will begin your studies with UWSP's English as a Second Language (ESL) Program and, upon completion of advanced-level ESL Program coursework, begin university study. This is a common path for many of UWSP's international students. If you are an applicant for conditional admission be sure to read and complete the UWSP ESL Program/University Conditional Admission Agreement on the application form. The Certification of English Language Proficiency requirement is waived for: (1) applicants who have completed 30 or more undergraduate credits at an accredited college or university in the United States; and (2) those who are citizens of a country where the native language is English. a. A completed and signed UWSP Financial Support Statement from the person(s) or sponsoring agency providing funds for your tuition and living expenses for the duration of your study at UWSP. The financial evidence must cover at least the amount of UWSP’s estimated expenses for the first year of your study. Complete the appropriate Financial Support Statement in the Application for Undergraduate Admission form. 5. A Brief Personal Statement (500 words or less). Your personal statement should include information regarding your academic performance and co-curricular involvements during secondary school (high school) as well as comments indicative of your plans for study and co-curricular involvements while at UWSP. Be sure to detail why you feel UWSP is a good fit based upon your learning goals and personal aspirations. 6. Two letters of recommendation from instructors. These letters should demonstrate familiarity with your academic performance and co-curricular involvements. h) A photocopy of the biographic information page from your passport. We strongly urge you to collect all application materials and forward to us as a single, complete package by express courier (not by regular international airmail). If you are admitted we will provide preliminary notification by email. We will forward your official aceptance letter and related items by express courier shortly thereafter. Applicants are encouraged to complete and forward their applications to UWSP as early as possible. This allows for sufficient time to obtain visas and arrange for transportation. The priority deadlines for receipt of all admission materials are listed below. Applications received after these deadlines will be processed as promptly as possible, though admission may be deferred to the following semester.